173 to 181 sq feet with ocean view windows and a queen size bed. 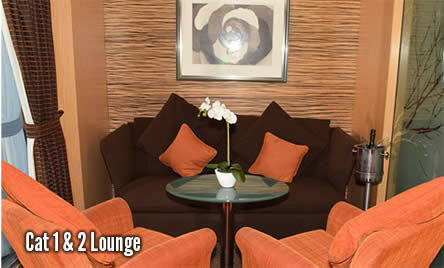 They have a sofa and coffee table, flat screen TV , mini bar and large bathroom with shower. They can also accommodate up to two rollaways. 169 to 181 sq ft with a window, vanity area, ample bathroom and flat screen TV’s. 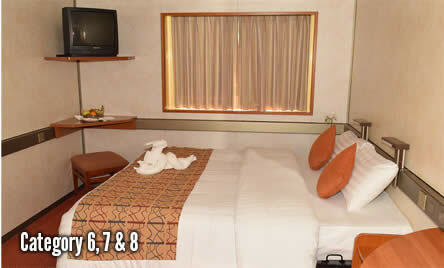 80% of the cabins have queen size beds and 20% have twin beds but most can be reconfigured to accommodate most needs. 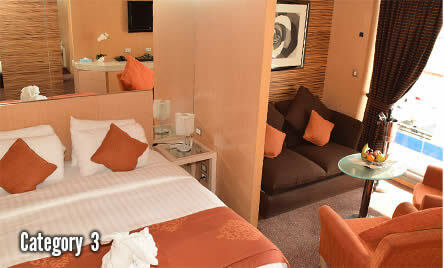 Cabins can accommodate up to 4 guests. 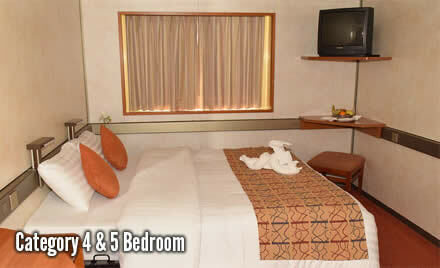 172 sq feet and offer the same type of bedding, flexibility and amenities as the Category 4 cabins. Many cabins can accommodate up to 4 guests. There is a curtain in place of a window to give the feel of having a window. These Oceanview Coach cabins are 172 sq ft. so they are cozy with a small bathroom. These cabins have double beds or 1 Upper and 1 Lower, and are best suited for double or single occupancy but many can accommodate up to four guests. These cabins have a flat screen TVs. The ship will cruise all night while you enjoy all the ships shows, shopping, food and much more. Enjoy your Bahamas fun, Sun and beach day. You will have about 8 hours of Island time. The bus, or cab driver, in the Bahamas, will know what time to Drop you at the Bahamas port. The ship will cruise all night while you enjoy all the entertainment, casino, dining and much more. Taxes of $61.78 per person are not included. Two Night Cruise Leave from Cruise Port of Palm Beach and heads to the tropical Island of Freeport, Grand Bahama Island, Bahamas. This is by far the best two night cruise in the world, because in this cruise you can stay on the Island for 2 4 6 or more days. So call 954-969-0069 and one of our friendly agents will get you there.